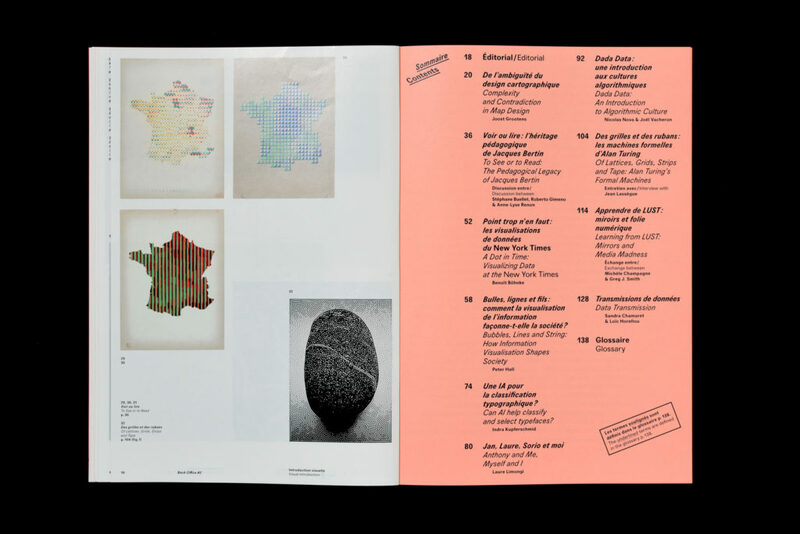 Published with the support of Cnap – Centre national des arts plastiques. Back Office #2 deals with the fundamentals notion of indexation, sorting and representation of digital data. The ability to stock and translate information into discreet entities is a fundamental characteristic of the computer. The capacity to save mathematical operations to memory as well as compute them are consequently at the heart of the Turing machine, conceived and created during the Second World War. 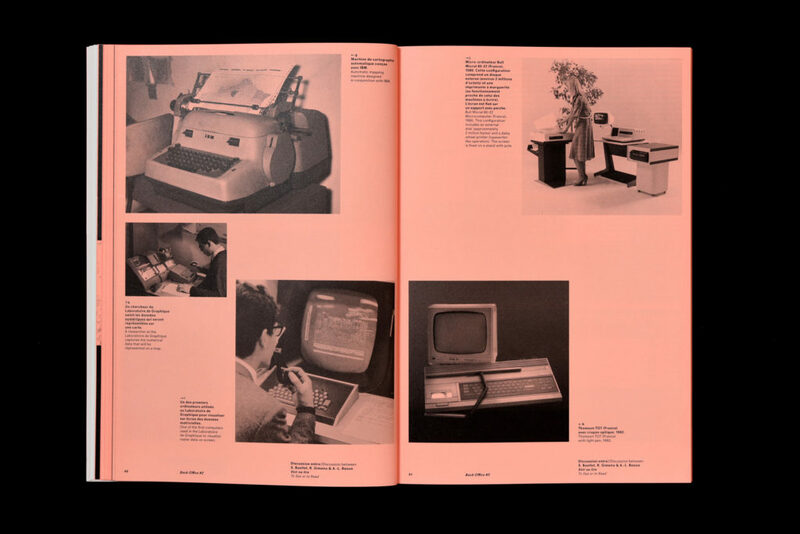 The computer as a principle upon which to base the organization of the world appears in the very long history of memory media (i.e. Michel Foucault’s hypomnemata): writings, maps, indexes, websites, journals, databases, online archives, blockchains, etc., all of which constitute so many attempts at inscribing the complexity of the real. 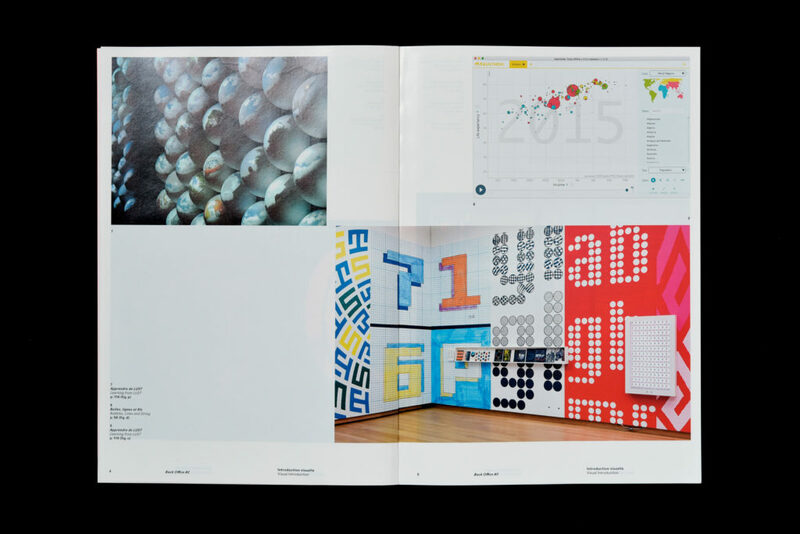 Back Office is an annual review, encompassing graphic design and digital activities. It explores the creative processes at work in the diverse fields of contemporary media and digital practices. By dealing with themes such as the code/form relation, the challenges of creative tools, and the permeable nature of media, it represents a unique French-speaking think tank, and a worldwide vehicle of visibility for the French-speaking community. What is a city and how to represent it? What should be removed and what should be kept? Is it always possible to choose? Generally while maps aim to model a territory, contemporary urban forms are more and more difficult to capture, and their limits become indistinct. 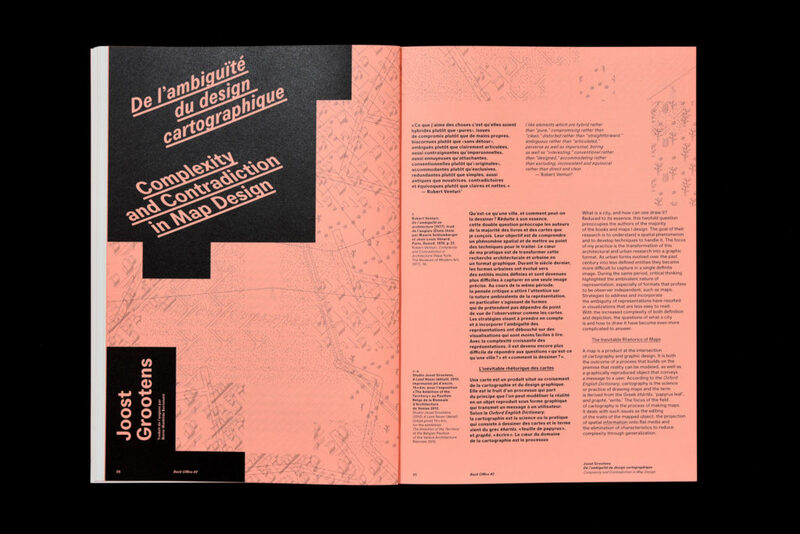 How a space for contradictions and ambiguity could be made in map design, without disturbing the readibility? 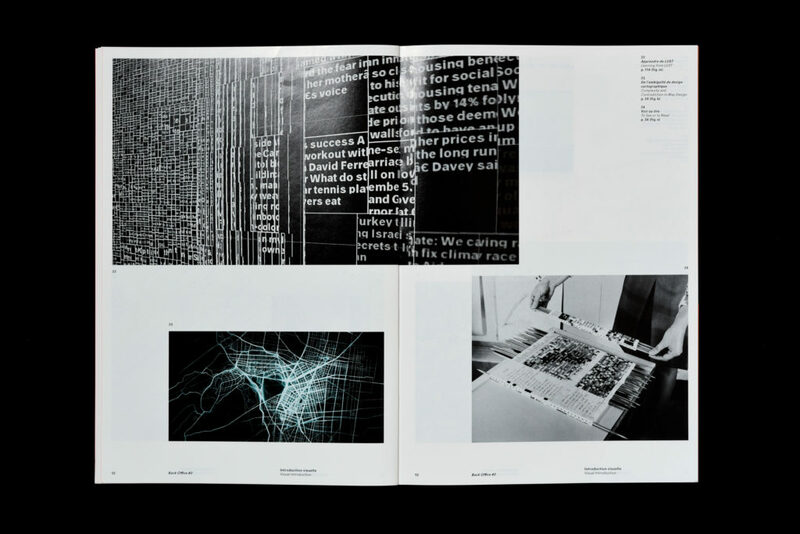 The Laboratoire de Cartographie, founded by Jacques Bertin in 1954, known as the Laboratoire de Graphique since 1974, articulated the production of scientific images and the representation of data and research in the social sciences in a new way. 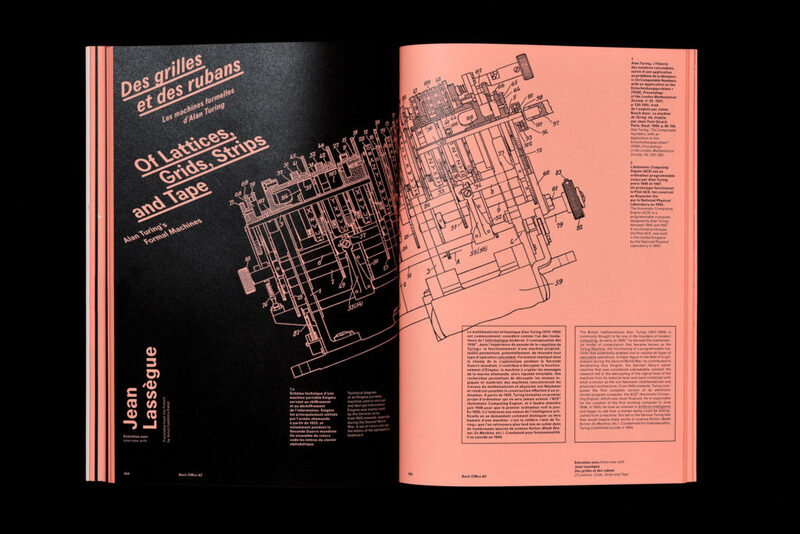 Researcher Anne-Lyse Renon and graphic designer Stéphane Buellet met with Roberto Gimeno to measure, over three decades after the preceding article was published, the pedagogical legacy of the Laboratoire de Graphique. 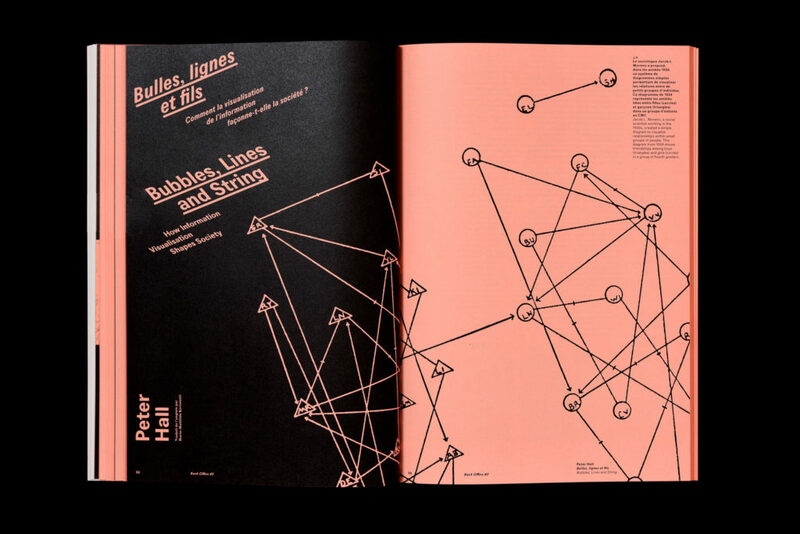 The web and print pages of major papers are full of diagrams, maps, graphics, scatter graphs and schematics. 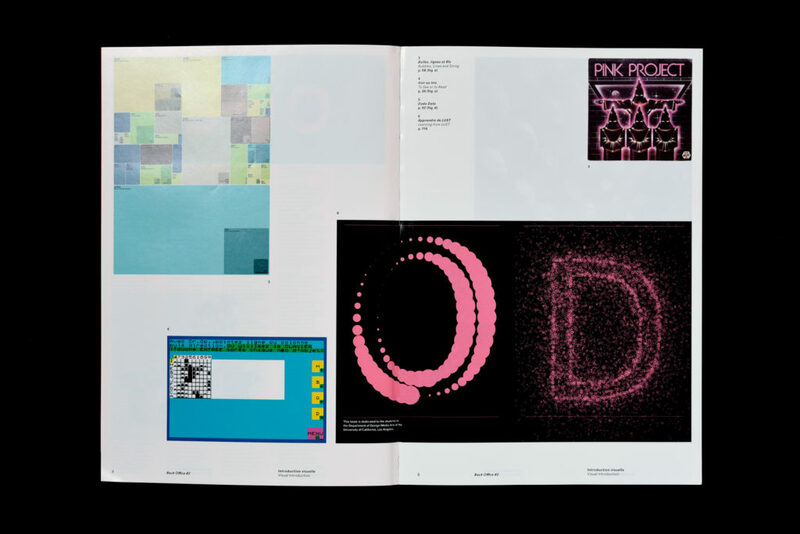 Using an intricate series of signs, colors, text, pictograms and images, the aim of these visualizations is to provide the reader with a didactic approach to information. Since the early 2000s and the development of loading data into networks (big data and open data), the press has also adopted these new methods of expressing statistics. The New York Times, an iconic pioneer in journalism that consistently seeks to propose innovative editorial formats to its readers, consequently decided to explore the technical possibilities offered by the Web. What are the limits of these editorial interactive forms? Data provides the means by which science progresses, legislation changes, and society advances; data is the enemy of witch hunts, bigotry, and ignorance (not to mention Creationism). But data is always gathered at a certain time with a certain purpose; and to be useful it must be mined, parsed, and presented. Each step of this process involves decisions about what to omit and what to prioritize. Yet the end result, the visualization, carries an authority, timelessness, and objectivity that belies its origins. Curiously, this fact is neglected in the otherwise rich discourse around data visualization and information design. Can AI help classify and select typefaces? Launched in 2017, the online project IDEO Font Map aims to use artificial intelligence’s automatic learning to classify and gather the multitude of available fonts on Google Fonts. How these new methods enable, or not, to actualize the typographic classification systems? Carte blanche to the writer Laure Limongi for a fiction about this issue’s thematics. 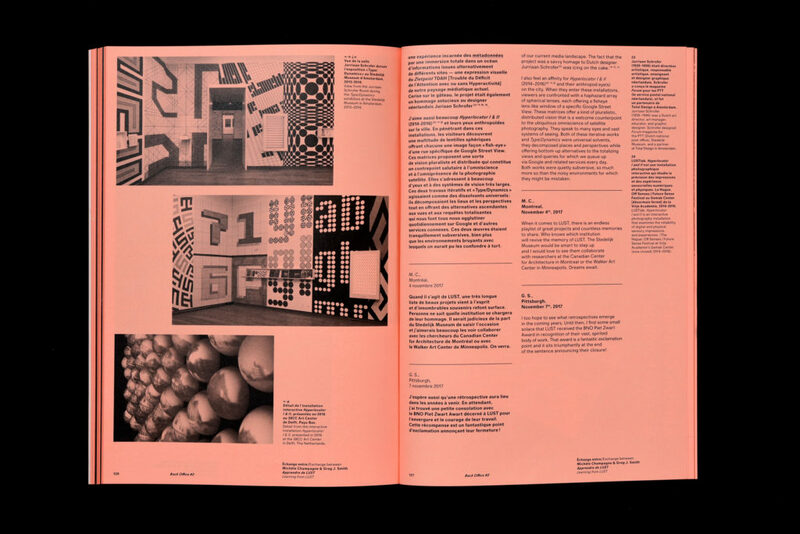 Using literary materials, such as Dada Manifesto, this article intends to show the increasing impact of software functions in the diffusion and production of new cultural content, in other words, the appearance of an “algorithmic culture,” one reflecting the increasing influence of digital and computer programming in the production and diffusion of cultural products. What links information to computing? How and why computing was invented? Are computers capable to represent data and to create forms? To learn more, Back Office team had a discussion with the philosoph and epistemologist Jean Lassègue, who has written a biography of Alan Turing. 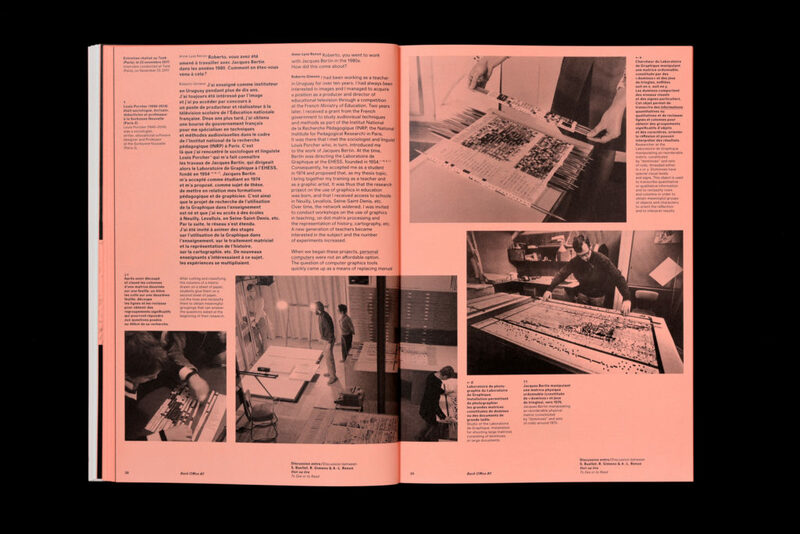 After the dissolution of the Dutch studio LUST, founded in 1996, designer Michèle Champagne and editor Greg J. Smith reminded themselves, in an epistolary form, of the adventure of Jeroen Barendse, Thomas Castro and Dimitri Nieuwenhuizen. Combining initiated projects and commissions from major cultural institutions, LUST has covered the world with unique works combining digital and physical environments. The treatment and representation of data requires a variety of skills, from visual conception and programming to statistics and interaction design. How can one transmit these diverse areas of expertise within the sphere of ever more specialized training programs? 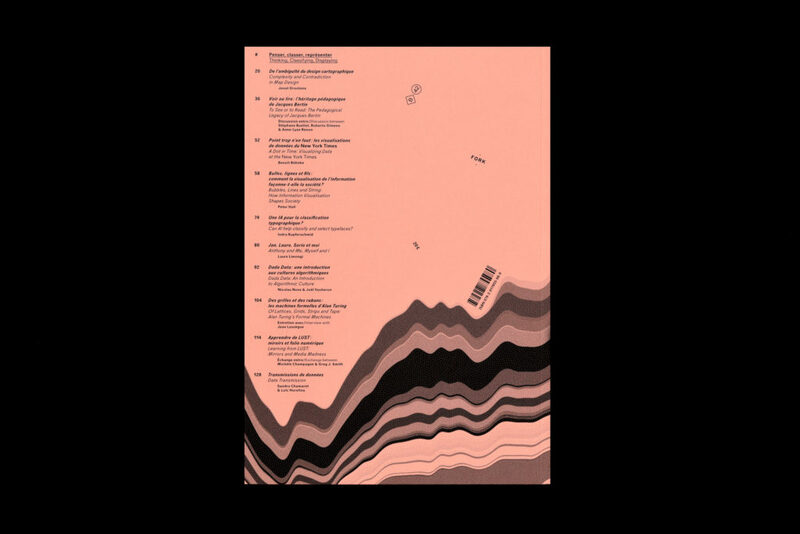 Sandra Chamaret and Loïc Horellou, teachers at the Haute École d’Arts du Rhin (HEAR), provide a panorama of singular pedagogical contexts intended to make students aware of the issues inherent in this pluridisciplinary field.